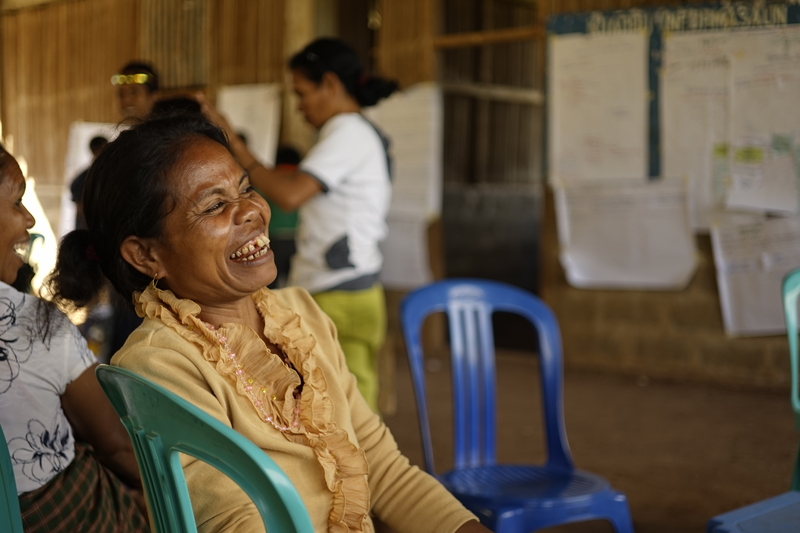 Took photos to tell the story of a community action planning for nutrition project. 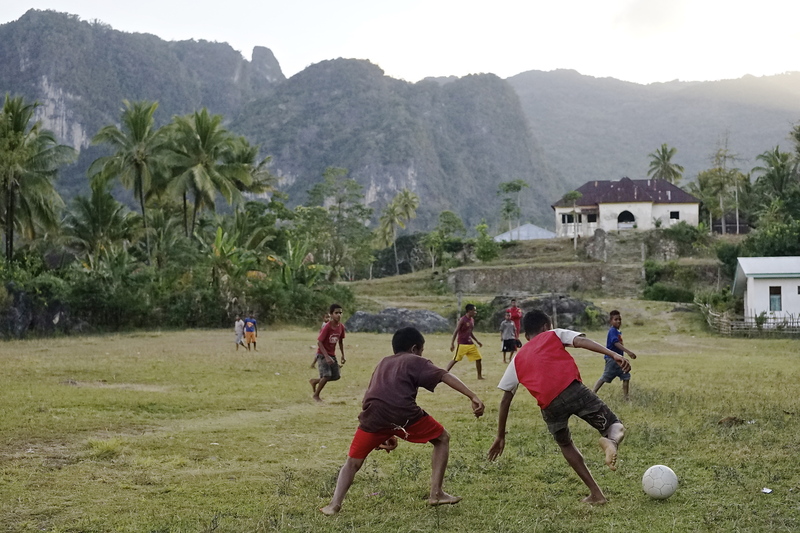 Boys played soccer at the feet of Matebien, Timor-Leste. Planning for nutrition took place for two days in this community. This community plans to do interventions of fish farming and gardening vegetables high in vitamins. 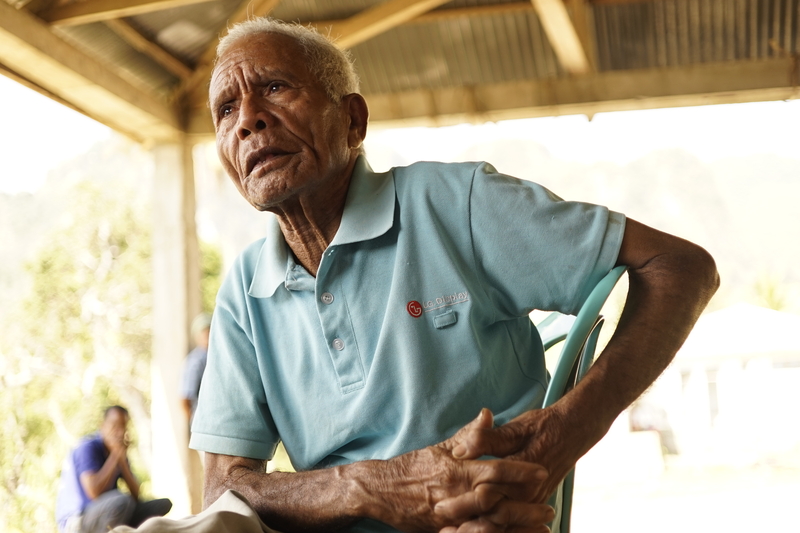 A 96 year old man tells stories of the changes he has seen in his village in Timor Leste. He talked about the difference in democracy and the leadership from occupying and colonizing powers until now. He focused on the fact that although freedom is good people often fear the responsibility it brings. 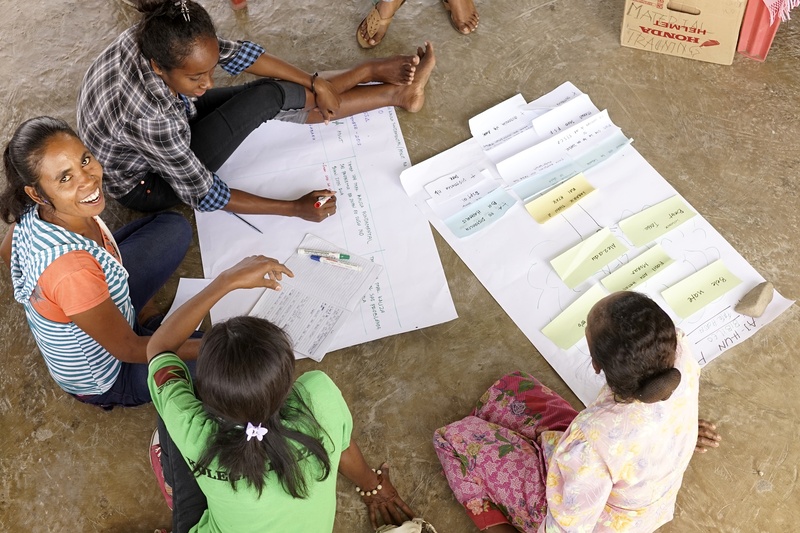 People work together on the “problem tree analysis” as part of the Community Action Planning for nutrition in Loilu, Timor-Leste. The problem tree helps people identify nutritional problems and solutions. A child plays off to the side of the Community Action Planning with his home-made toy car. Life in the community does not stop during planning. Often while parents and grandparents discuss nutrition issues and solutions children play off to the side or even join in the discussion. 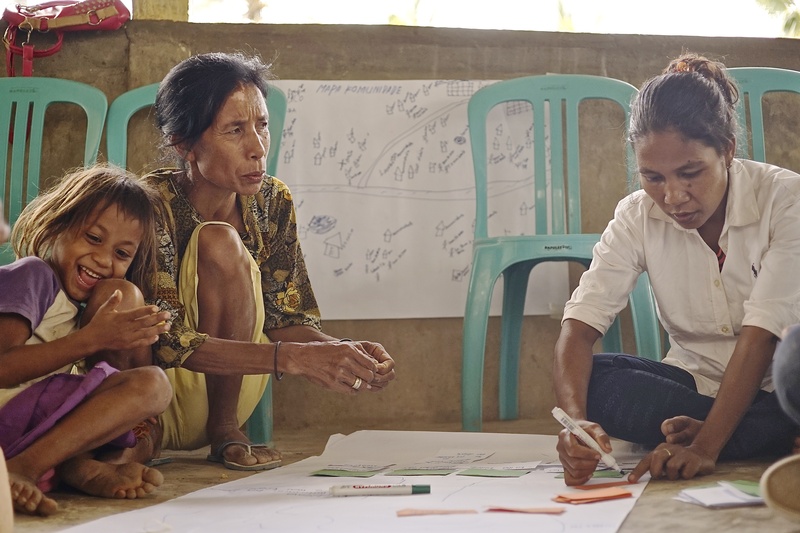 Women from Bibileo, Viqueque, Timor-Leste discuss the differences in nutritional problems between women and men. 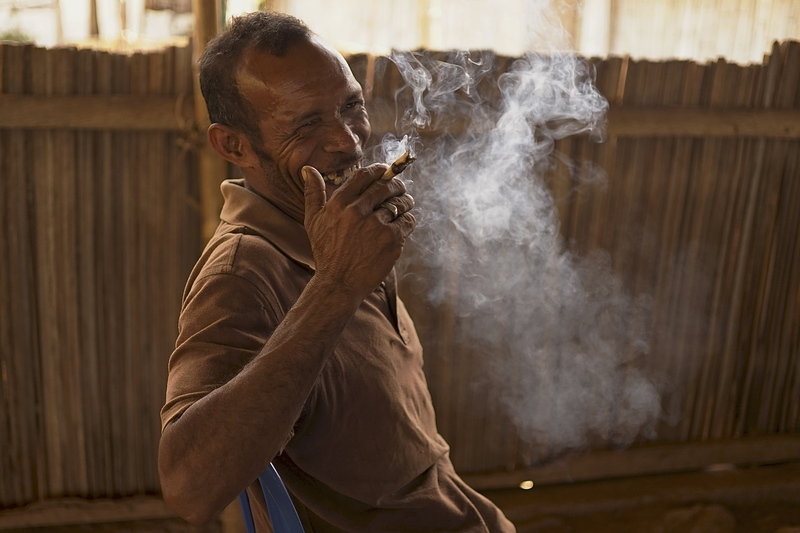 A man takes a break from discussing community nutrition by making his own cigar and smoking it to the side. The discussion was about what both women and men would do to help children and new mothers be more healthy. Her husband said, “men will make money to buy things for women”. She quickly replied, “when have you ever bought anything for me!” The entire room broke into laughter including her husband.